My paternal grandfather, Richard Hobart Williams, was a hard-working staunch conservative, a Hoover Republican who traveled around East Tennessee during the Great Depression trading horses to make a living and campaigning against “Old Roosevelt.” I wasn’t around during that time, but spent a lot of time with Granddaddy in the family furniture business and heard all his stories, some of them several times. His father and brothers had been in the flour milling business, never with much success. 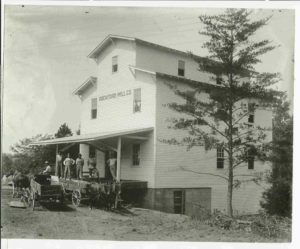 Granddaddy told me that all during those years struggling in the mill business, he thought that if he could ever just get $10,000 accumulated at one time he could start a successful business of some kind. I don’t believe he ever wanted to work for anybody. In the 1940’s his small town insurance agent, a Mr. Blazer I believe, suggested to Granddaddy that he get in touch with another of his insurance customers who was about to start a furniture business. He thought they might be able to help each other out. 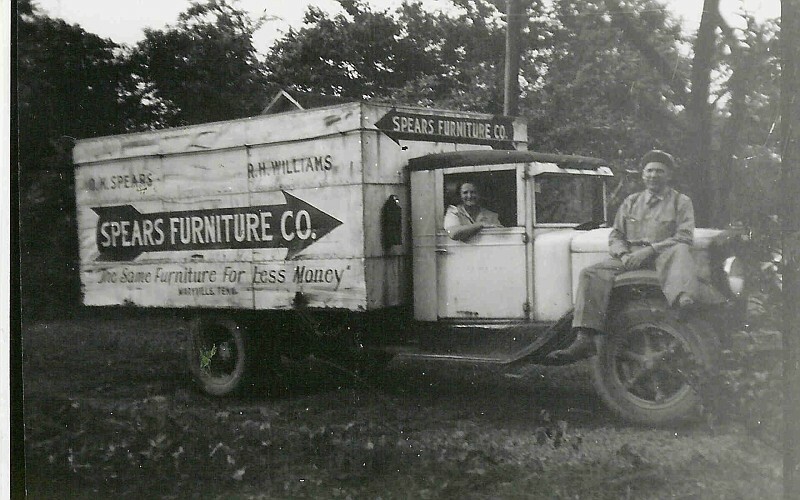 So R. H. Williams looked up O. K. Spears and they founded Spears Furniture, later to become Spears and Williams Furniture Company in Maryville, TN. Granddaddy told me that they stocked the store with three living room suites, three bedroom suites, and three dining room suites and opened the doors for business. As I heard the story, Mr. Spears spent the days hanging around the big heating grate over the furnace smoking cigars trying to stay warm and chatting with customers while Granddaddy did the hard work. But he always appreciated the opportunity Mr. Spears gave him and, and as the business began to grow, finally began to believe he had found a way to make a living. After a few years they split up and Spears Furniture and Williams Furniture became separate and independent and attracted the next generation of both families into the same business. I got many lectures from Granddaddy during the nineteen fifties and sixties about all the problems that would result from “easy money” being provided by federal spending and inflationary policies. He strongly resisted Social Security but of course had to pay the taxes. When he retired in the early sixties, he applied for his Social Security benefits and was told he couldn’t get them because he was still working. That was the rule at the time. It was true. He was still working but he wasn’t getting paid. He just kept going to the furniture store which my dad and uncle had taken over and helping out as he could. Granddaddy was not a man to sit around taking it easy when there was work to be done. I don’t know if he had to go to court and prove he was not being paid to get his Social Security started or if he just threatened to do so, but the payments soon began. Granddaddy once told me that a man who wasn’t suing somebody or being sued by somebody probably wasn’t doing anything worthwhile. Well, by that standard at least, I am a failure. Looking at all that has happened to our national economy since 1974 when the first big oil crunch gave us a slap in the face, I have to say that Granddaddy was right. We lived high for a few decades on the “easy money” policies, but the bill has come due and must be paid either through extreme inflation or a few decades of austerity. Richard Hobart Williams: 1898-1987 – Thank you, Granddaddy, for all the love you showed me, all the things you taught me, and all the time you spent with me. Here are Grandmother in the really old truck and Granddaddy on the fender. Knowing Granddaddy’s frugality, I bet the truck was old even when he and Mr. Spears bought it. Until Granddaddy bought a new Nash for Grandmother when she learned to drive in the early 1960’s, his net accumulated investment in all the vehicles he had ever owned and driven was negative. He knew what it meant to buy low and sell high. I thoroughly enjoyed your article. We are very blessed to have grown up in a family where hard work and self sufficiency was taught by the actions of our parents and grand parents. Thanks for the reply, Ann.